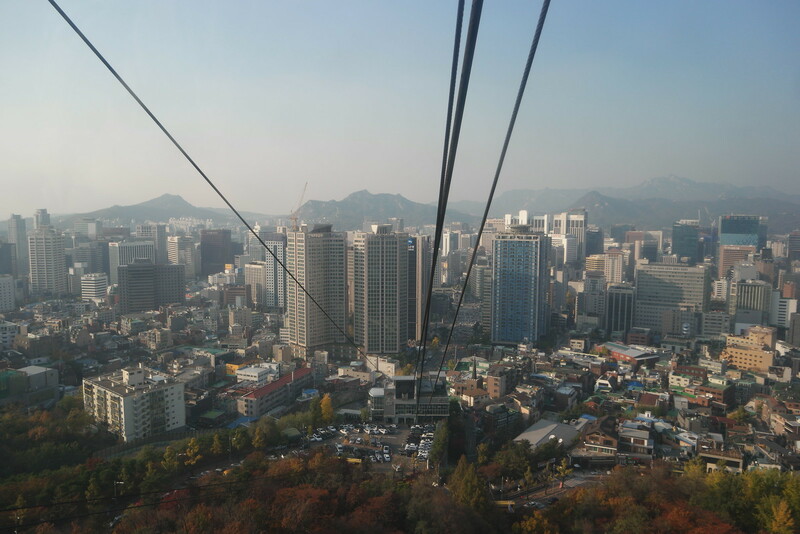 I’ve always imagined Seoul as a wondrous sanctuary which were unlike any other city in Asia. I was imagining a city with calm, serene streets, beautiful autumn weather and people, that were much more civilized and Westernized than their cousins in the South. 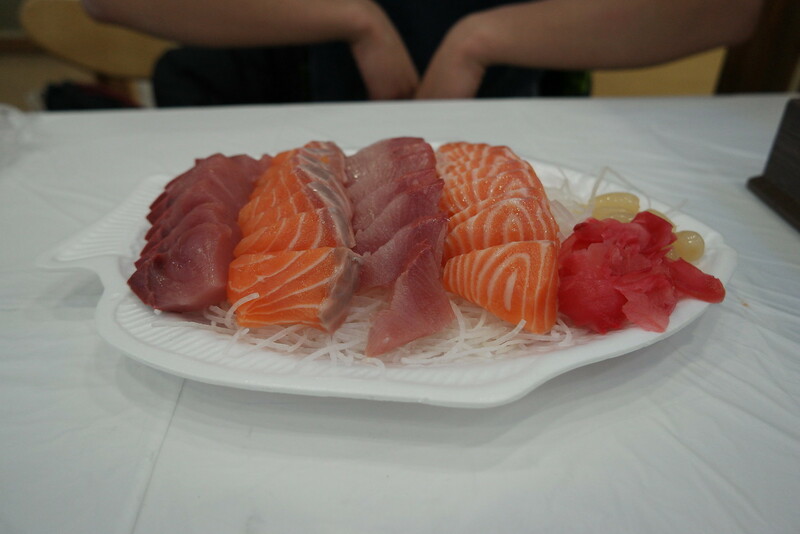 For this trip I was leaving Hong Kong with my Australian buddy Lachlan, whom I planned the trip with guidance from my roommate Chaeho, which gave us an edge as we wanted to eat local, authentic cuisine. Lachlan and I left on a Thursday, where our destination was Incheon Airport which is a 4,5 hour flight form Hong Kong. approx. The first thing that struck us when we left the airport was the immense cold and dry air. After staying in Hong Kong for a couple of months where high humidity and temperatures is the norm, coming back to something that reminded more of the Danish winter was refreshing. 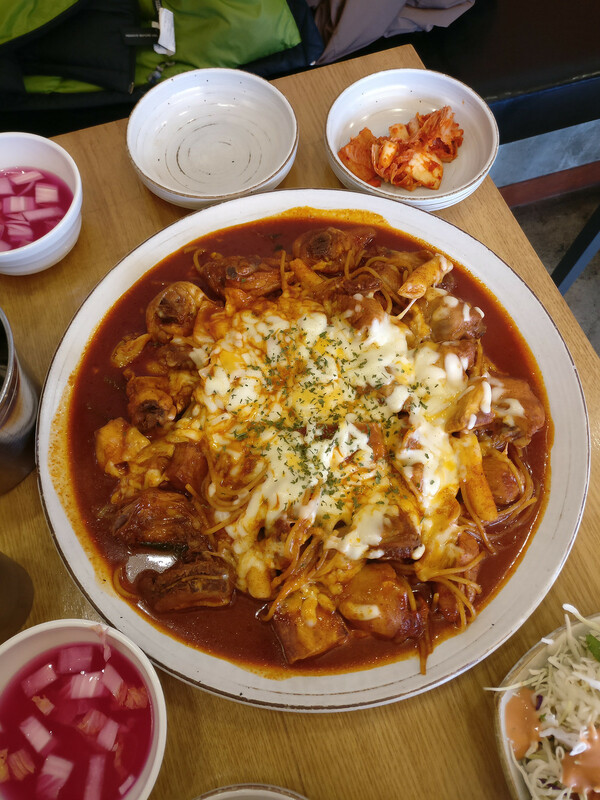 Arriving at our hotel at Insadong, we dumped our luggage and headed out for food, but as time had rounded 2AM we weren’t expecting anything but a quick meal at a 7eleven, but to our big surprise Seoul seems to be a city that never sleeps. We found restaurants still open, still with guests still dining. 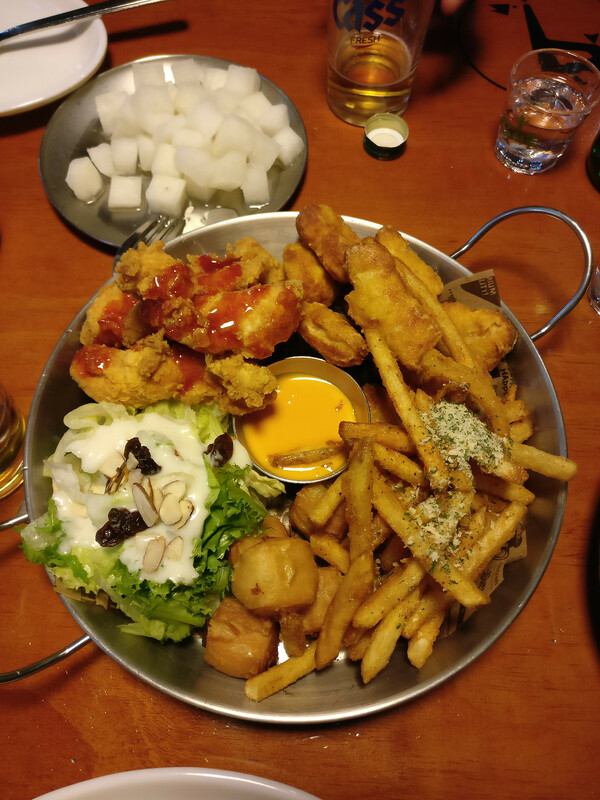 Our first platter consisted of delicious Korean style fried chicken, soju and beer. 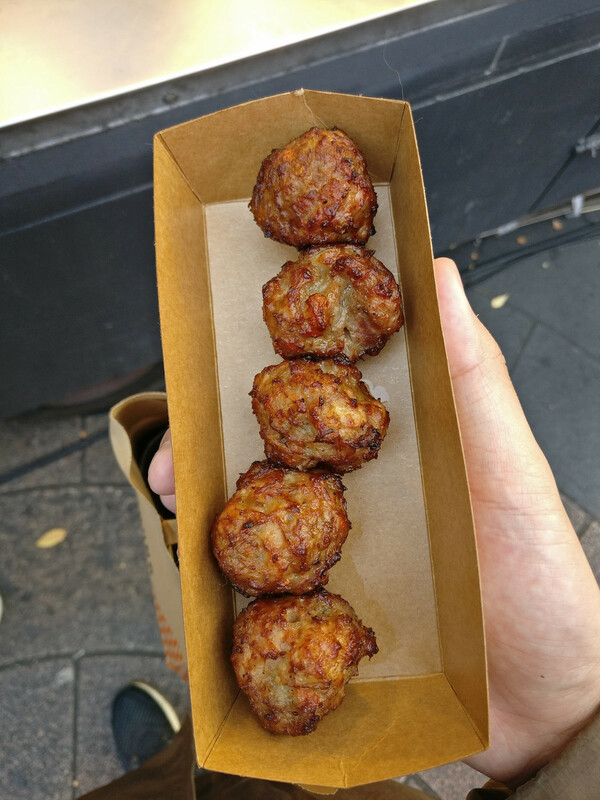 I have been to the States before and their fried chicken is tasteless compared to the South Korean style, which is characterized by the uses of spices and cheese. 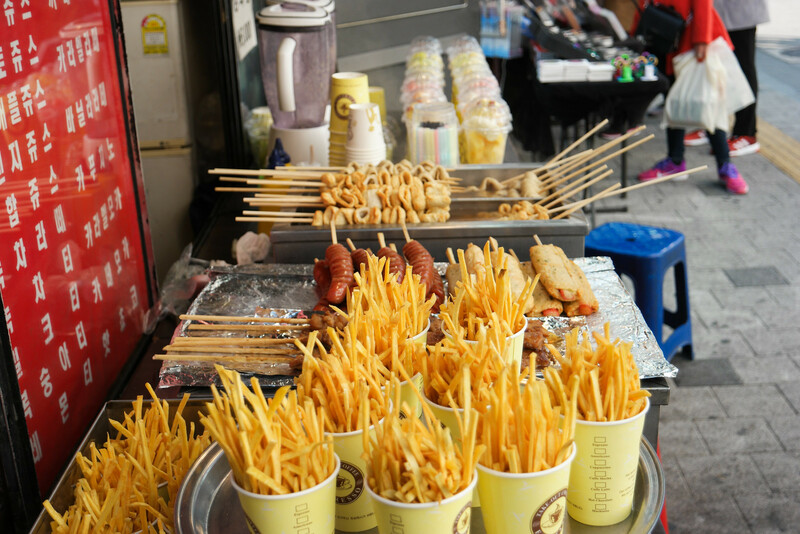 Particularly cheese struck me, as I don’t know of any other Asian country that uses cheese so frequently in their dishes. 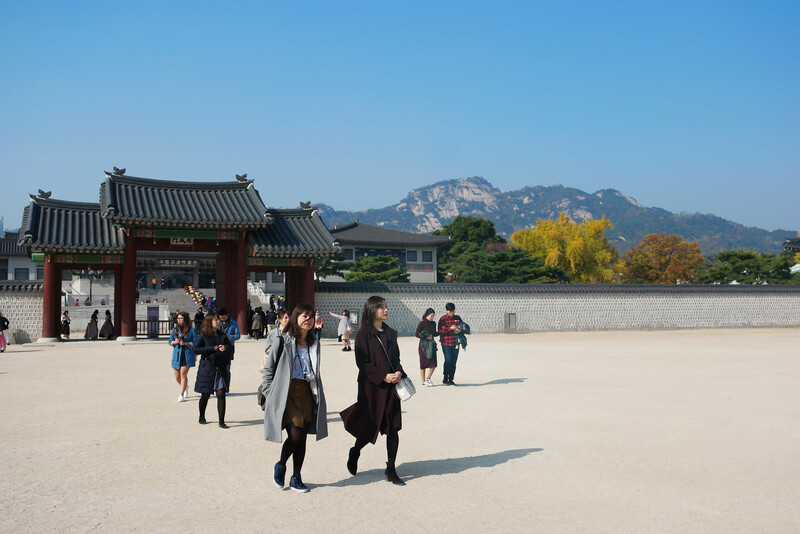 Our first day brought us to Gyeongbokgung Palace, which is a must see tourist attraction and what a wonder it is. 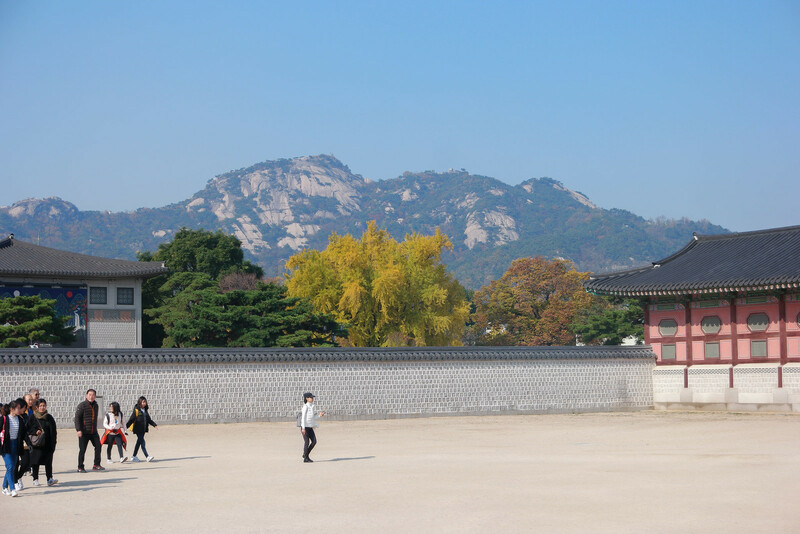 This old palace is itself an amazing feat of Korean architecture, but the backdrop where the hills tower up the back makes it such a wonder to watch. 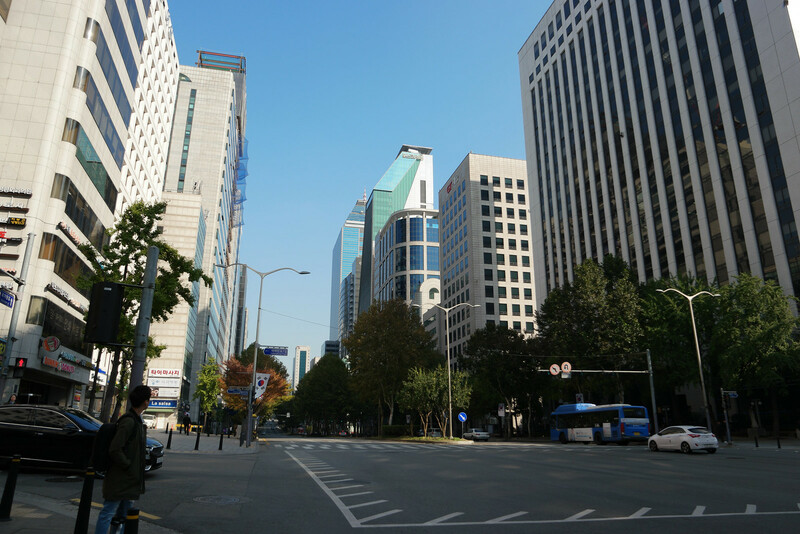 One of the major things we noticed in the bright daylight was that, compared to Hong Kong and Saigon, the streets were much cleaner and spacious and there seemed to be more air between the buildings. 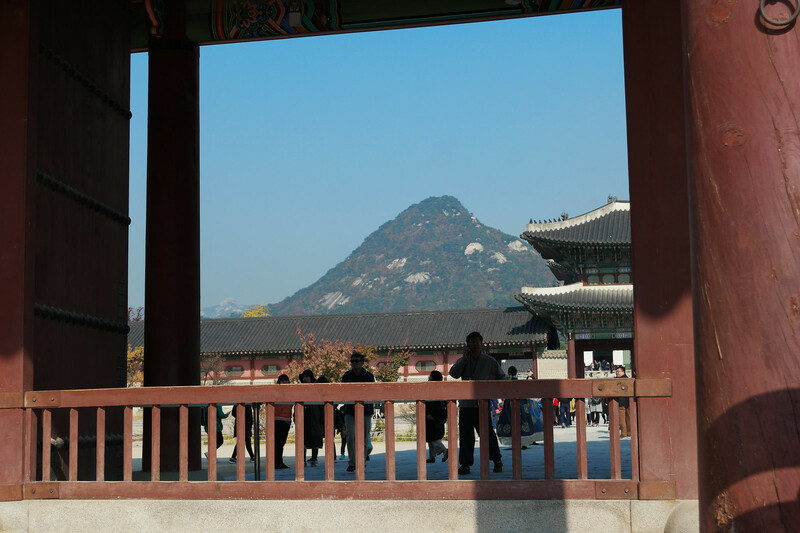 Seoul has a serene feel to it, like a city in total balance – people weren’t rushing, yelling and everyone was extreme guest free, polite and helpful. 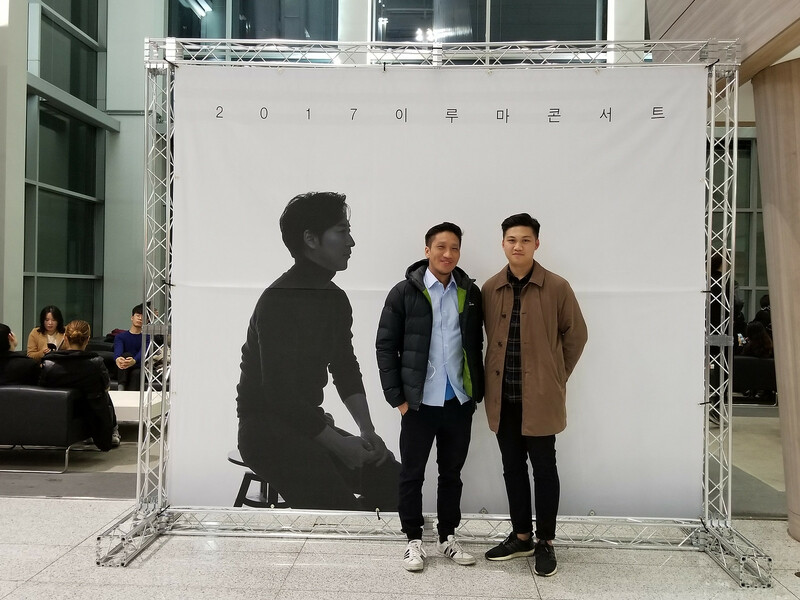 As lucky as I am, the days where we were staying in Seoul my favorite pianist and one my childhood idols, Yiruma, were playing a concert in town. The concert was fantastic and it was surreal to see him live as I’d never expect to see him play, let alone in play in Seoul. 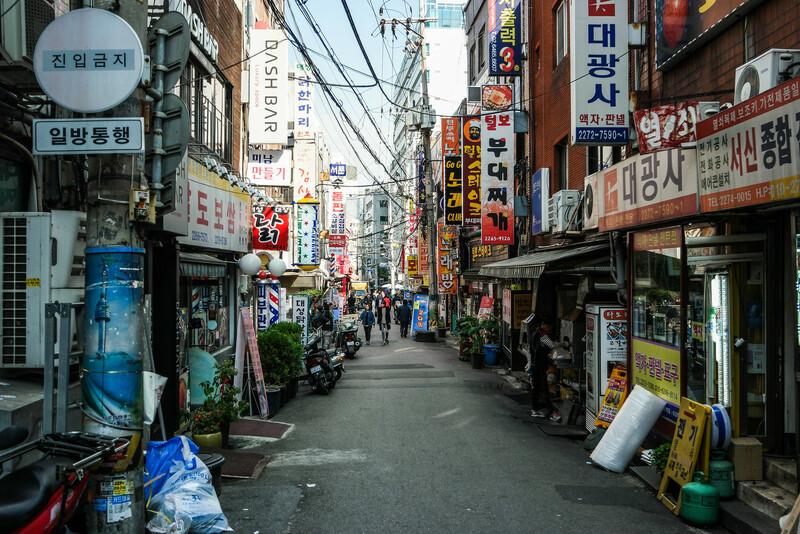 The rest of this night was spent it Seoul’s hip areas Itaewon, where we got a taste of Seoul’s nightlife. The following days were spent on walking the streets, eating street food and enjoying the calmness, which shrouded the city with some of the most polite folks I’ve ever met. 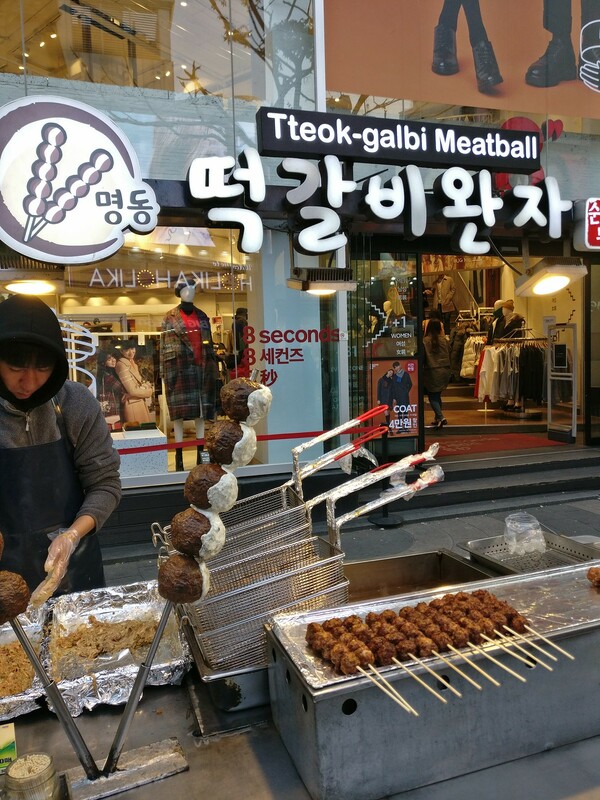 In the Myeongdong area there was a cascade of different street vendors selling desserts and smaller dishes, which ranged from lobster tails to pig intestines on a stick, which really made it a paradise for food lovers. 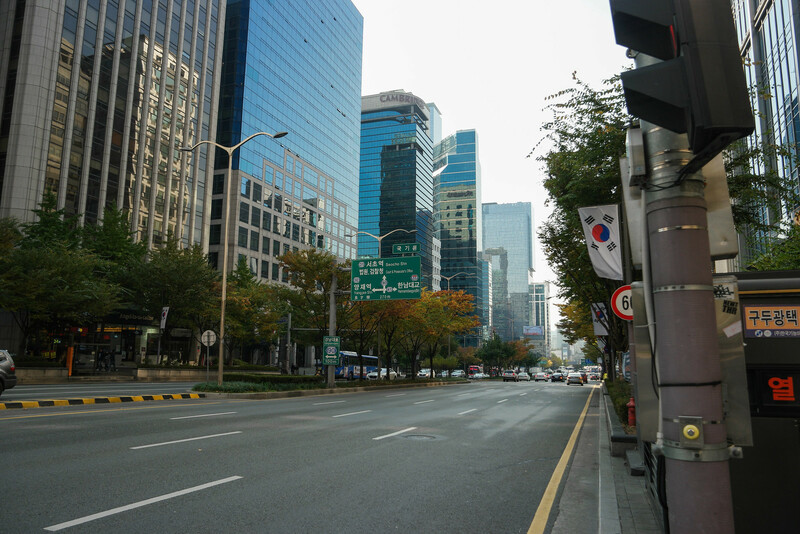 From here we visited the Gangnam area, made world famous by Korean singer Psy. 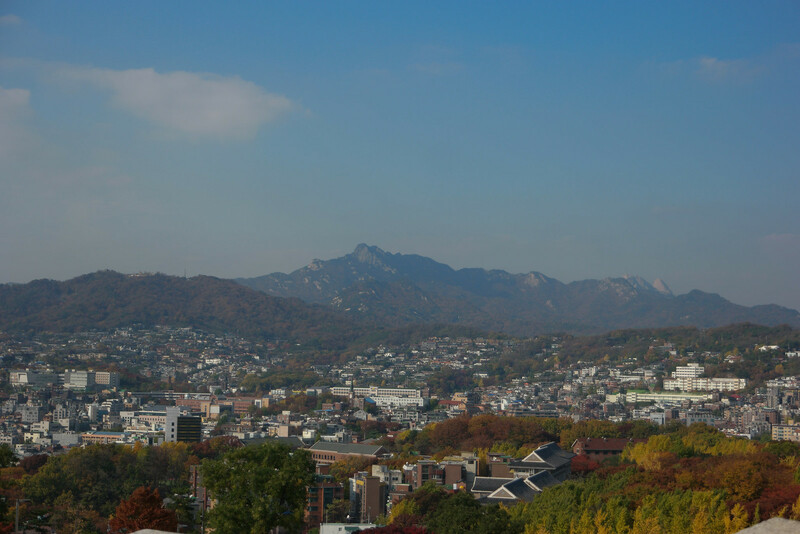 This area is renowned for it’s plastic surgery, which was very clear when we came. Openly on the streets were clinics advertising for their clinics, where you could go and correct your nose, eyes, lips or trim your jawline – your imagination sets the limit. All of this made it very clear how the beauty ideal in South Korea is skewed towards one particular picture of beauty, which is perfect symmetry and have the same features as your idols. This isn’t a taboo thing to talk about, as it is even advertised in the metro and which parents use as enticement for their kids to get good grades in school. 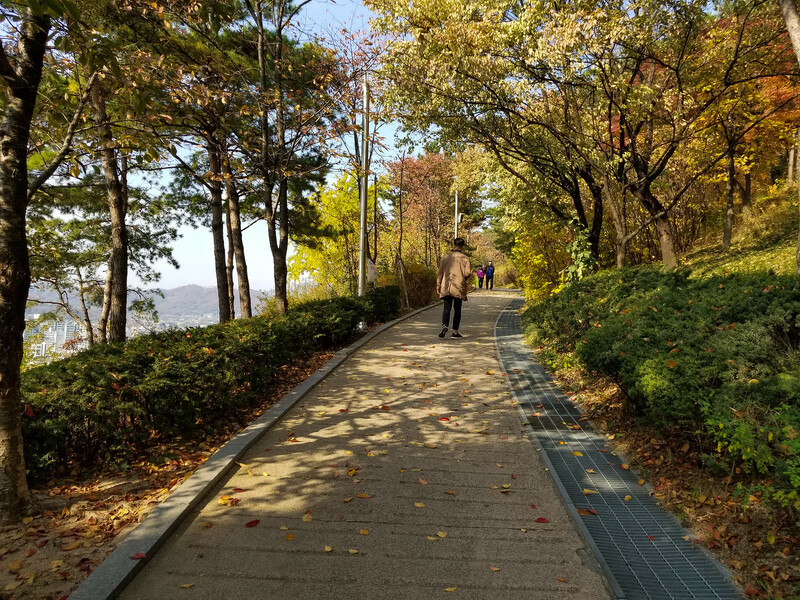 Our stay lead us to Naksan Park in the autumn sun, which is a walk uphill and has an amazing view of the entire city. 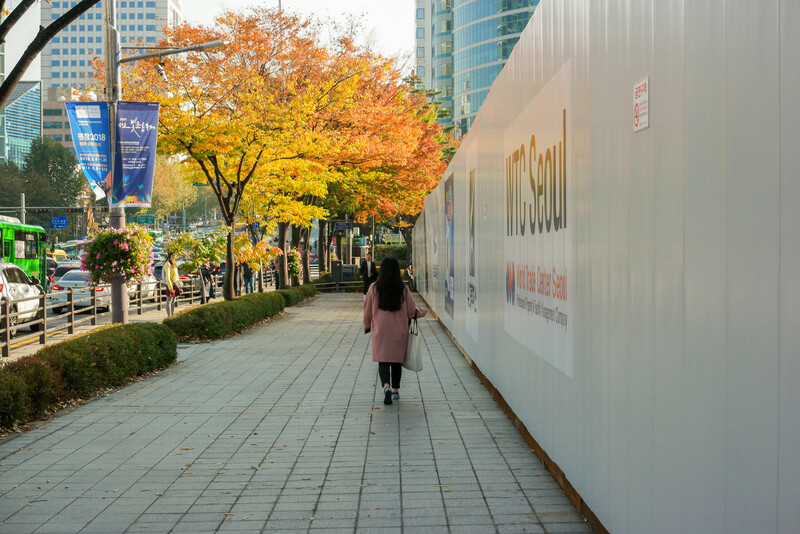 This small pearl in the middle of the city really frames Seoul beautifully with the colored autumn leaves in the sun. 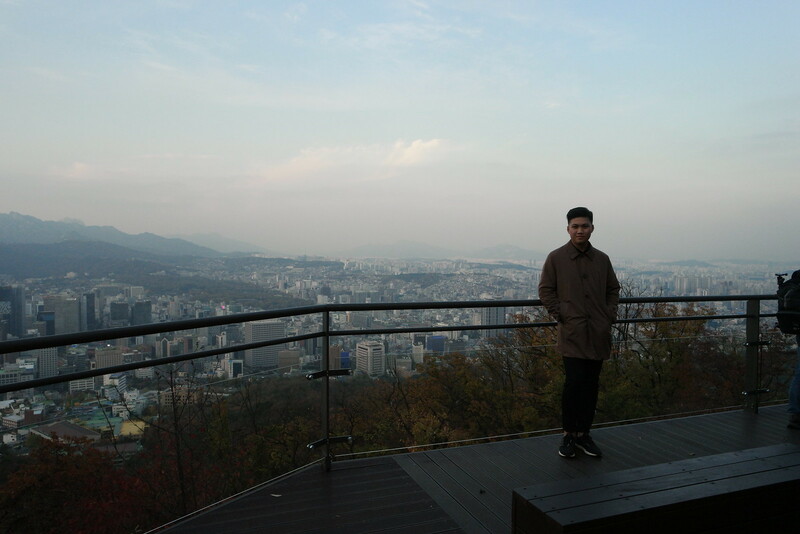 Another great view was from the Namsam Seoul Tower, which is dead in the middle of the city on top of a large hill. 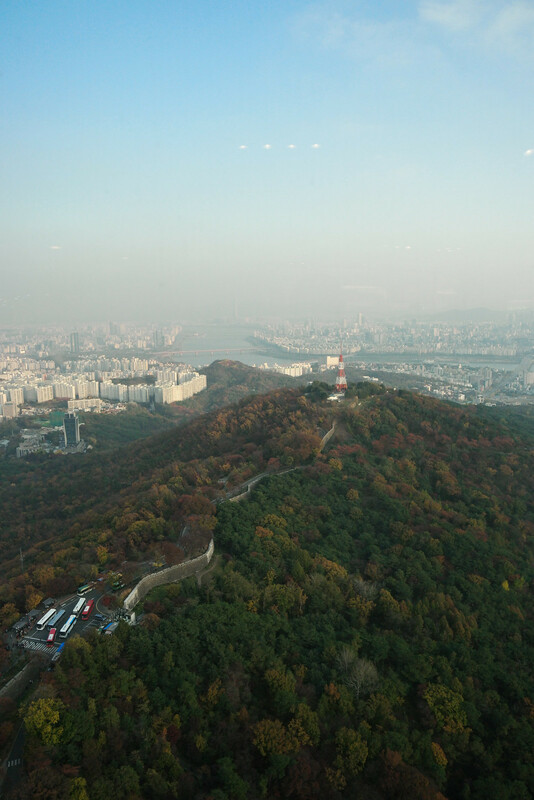 The tower itself is a 360 observation deck standing 480 meters above sea level, which gives it a stunning view over the valley of Seoul, the hills and mountains towering up in the horizon and the Han river, which divides the city in two halves. 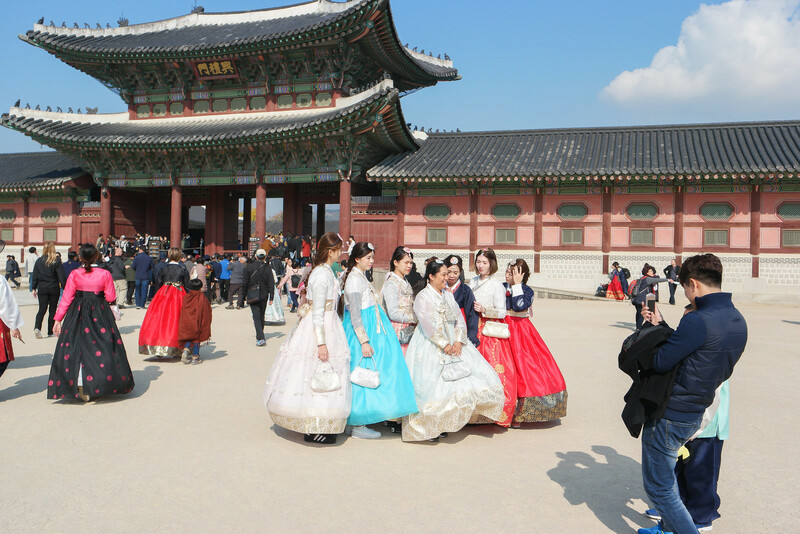 You can’t say South Korea without mentioning k-pop, which is the homegrown musical genre, which has made South Korea famous all over the world. Because of this we had to see one of the major music labels headquarters for ourselves. We visited SM Entertainment, which most recognized artists consists of SHINee, Super Junior and Girls Generation. These may seem completely unknown to you, but in Korea these groups are praised almost as if they were divine entities. The building consisted of multiple floors, where a small section were meant for souvenirs and a viewing area for the public, where you could get to take a picture with one your favorite groups’ poster or buy some of their merchandise. Funnily enough it was only me, Lachlan and a bunch of fangirls in the building. Around the building I also got to try a Korean hairdresser and wow, the level of attention you get is almost over the top. 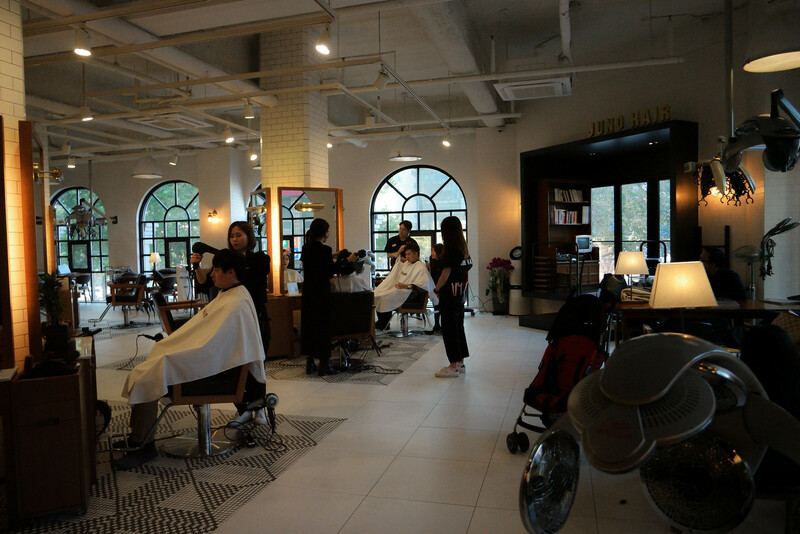 A total of four people cared for me and up to three persons at a time – for a single haircut and wash before and after. 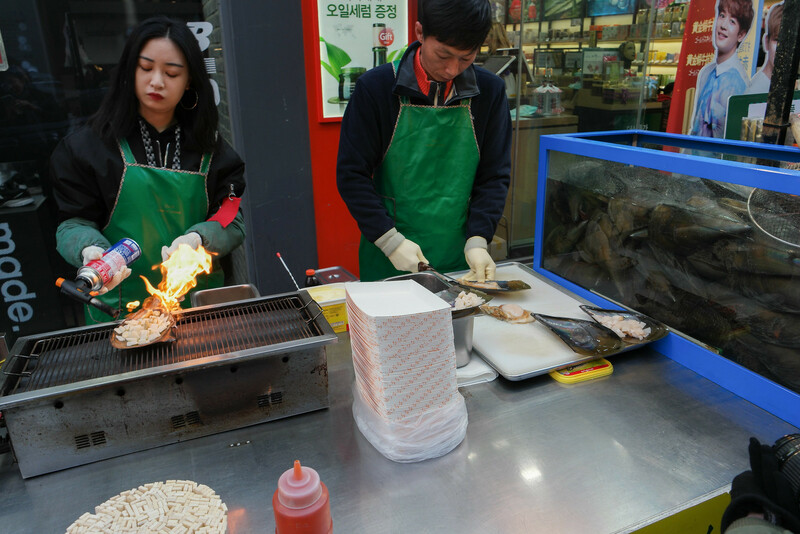 Seoul is an amazing place, with amazing people who are immersed in their daily life and take pride in what they do. The rich banker is no better than the guy working the broom on the street. They will show each other equal respect, which is one thing many other countries could learn from. 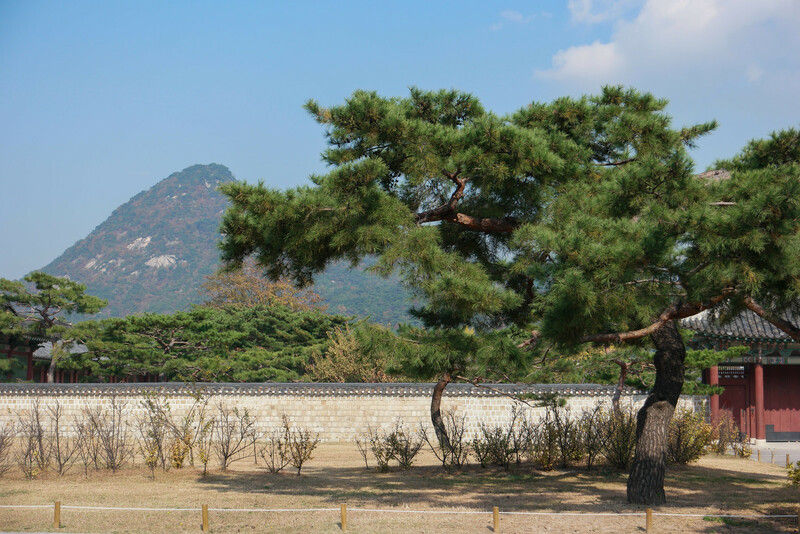 Go here if you look for a serene sanctuary unlike anything you can find in Asia. This city reminds me more of a modern city in Europe than the Asian metropolis. 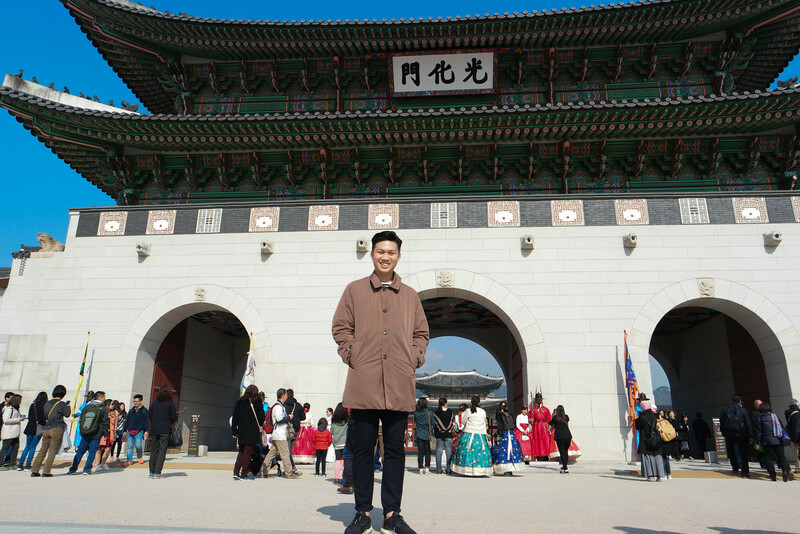 If you go to Seoul, you will fall in love with the city. Mit navn er Mogens Nguyen, er 21 år og læser diplomingeniør i Integreret Design på Syddansk Universitet. Som skribent på EDT, så vil jeg fortælle om mit ophold og forløb ved Hong Kong Polytechnic University i efteråret 2017.